Hey fellow Dragon Age fans! 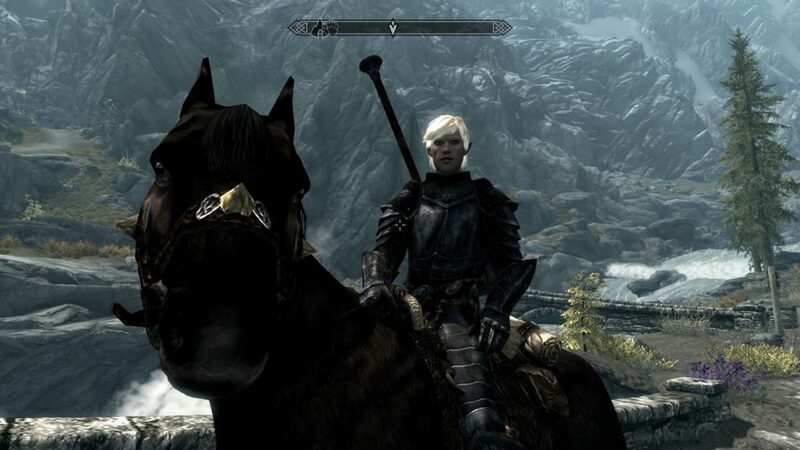 As a fun little side project, I’ve made a separate Fenris Follower mod for Skyrim. 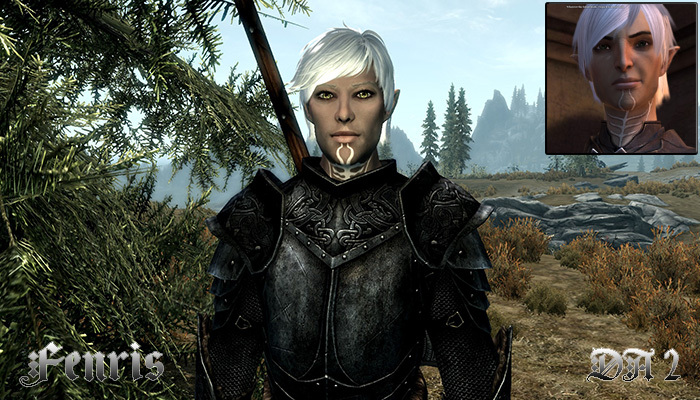 He uses the same voice actor, Gideon Emery, who voiced “MaleSoldier” in Skyrim, as well as Fenris in Dragon Age II. As far as lore goes, in Skyrim he’s a Bosmer, former slave of a Dunmer Great House. He has all the same special enhanced features as AnnaNPCs (the ones not requiring SKSE). Fenris has a full follower framework, completely separate from the vanilla system, like my Anna NPCs, including riding, sandboxing, set home, meet at inn, and more. His chat is somewhat limited due to availability of vanilla voice files, and some new lines are included that are not voiced. I recommend using Fuz Roh D’oh if you don’t already; it’s just a really handy tool for showing unvoiced lines for longer than a second. Nice, Anna. Pretty convenient he voiced the Male Soldier. You could probably add Dwemer cyborg Nick Valentine to Skyrim too now that I think about it, given all the voice files that actor did.